See how Jeremiah was “going in and out among the people”? He still enjoyed freedom of movement while Jerusalem was being besieged by the Chaldeans. What did he do with that freedom? He spoke the word of the Lord—even if it was offensive to the hearers. And it was certainly offensive, since he prophesied the destruction of the city. We enjoy the same freedom of movement as Jeremiah. But do we take advantage? Do we proclaim God’s word? Do we pray and sing with our minds and spirits? If we do not, the “Chaldeans” will defeat us. The Church will live on elsewhere but our churches will be sacked. Proclaim the Word of God in your city, while it is still day (John 9:4). Do not fear the reprisals of individuals or of an entire culture, for God is with you. Acknowledge Christ before others. Do not hold back; let the confession of your faith be bold. 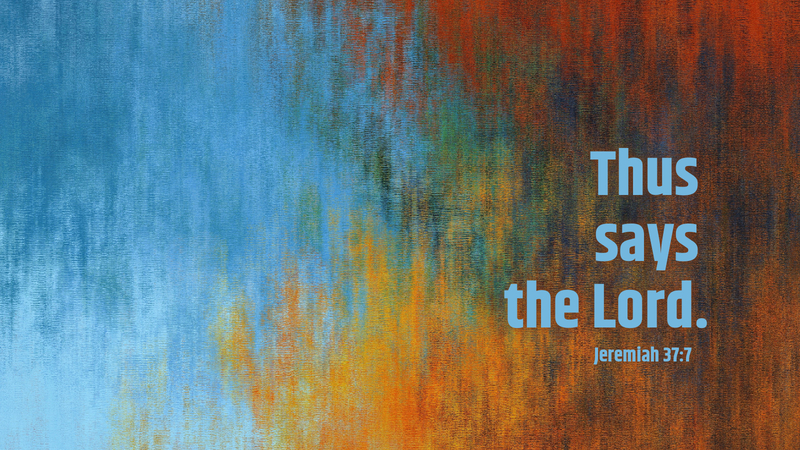 Like Jeremiah, we may not hold off the defeat of our civilization but we may hold back the burning of souls.